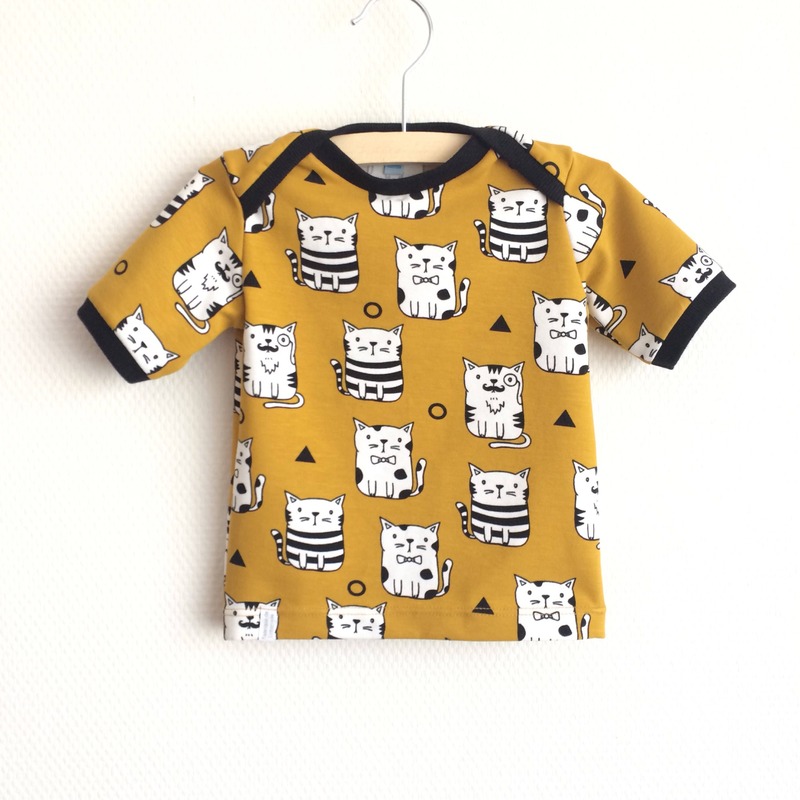 The mustard yellow jersey knit fabric with cats will look great on your little one. 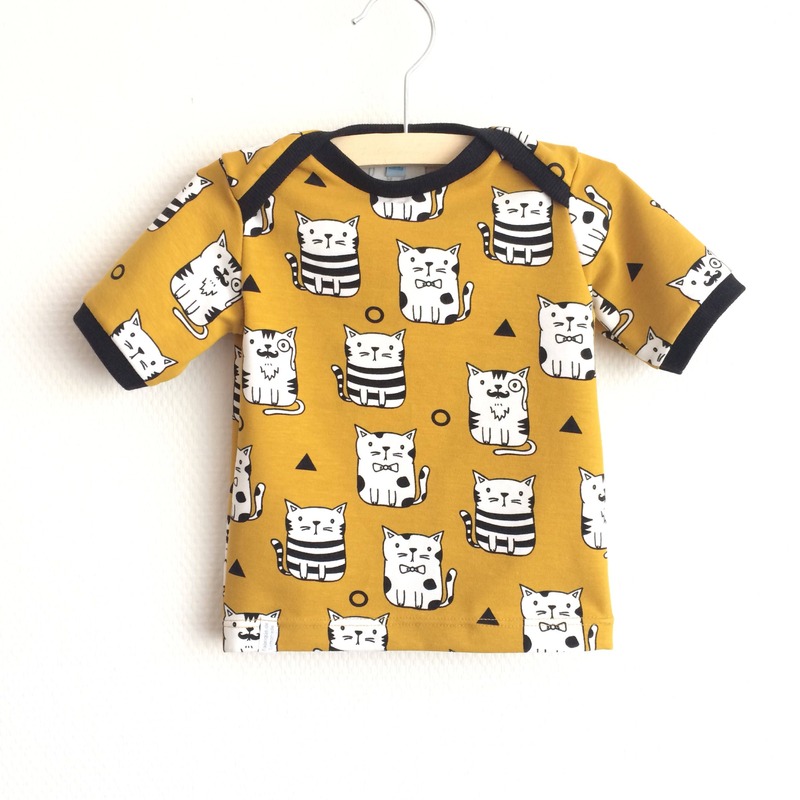 It makes a perfect baby shower or birthday gift! 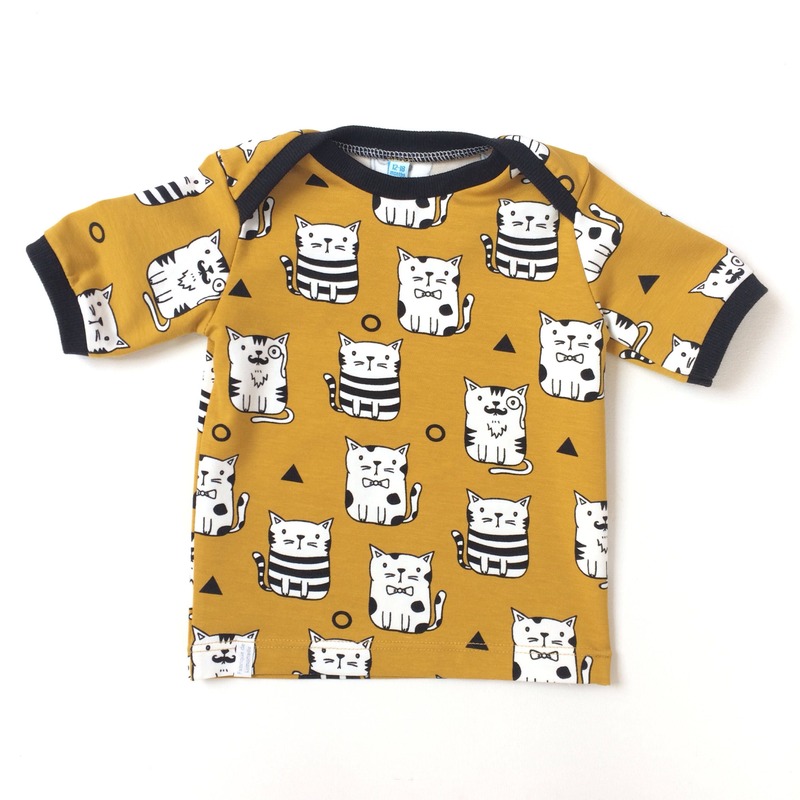 The neckline and sleeves have black ribbing, but you can also choose yellow ribbing.